Flying high with the release of its flagship, the HTC One M8, there’s little waiting being had over at HTC’s headquarters. The company is rolling along with the announcement of its pint-sized sibling, the aptly named HTC One mini 2, which bears some of the new characteristics of its formidable brother, but not all of them. In true fashion, this “mini” sized smartphone is a shrunken down version of the flagship – making it an easier thing to handle for those who don’t want to be bothered by gigantic things. Spending a brief time with the HTC One mini 2, there’s no denying that its design follows in form to the mightier HTC One M8 – albeit, it’s accompanied by a smaller footprint obviously. Easier to handle with one hand due to is size, where our thumb can encompass the entire area of its display, it’s comforting to know that the top-notch build quality is evident again here with the phone. Sporting the same unibody brushed aluminum finish, there’s no arguing about the handset’s lovable premium quality – more so when it’s available in the same trifecta of colors. Although it bears the same updated design scheme, the aluminum material doesn’t really extend to the outer edges of the phone, like what we see on the HTC One M8. Instead, it’s like last year’s model, where polycarbonate spacers add separation to the otherwise uniform looks. 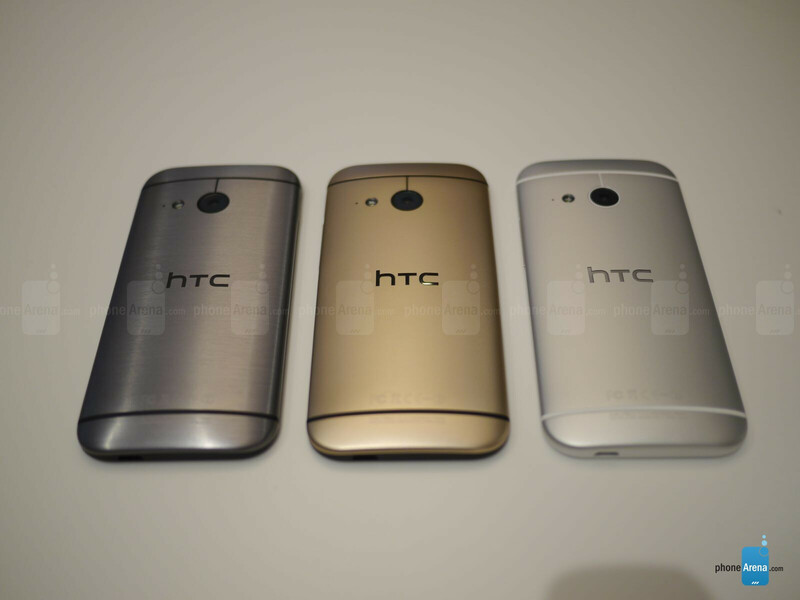 More prominently exhibited with the glacier silver version of the HTC One mini 2 than the other colors, it really reminds us of last year’s design. It looks almost identical to the HTC One M8, but there are noticeable differences besides the size. 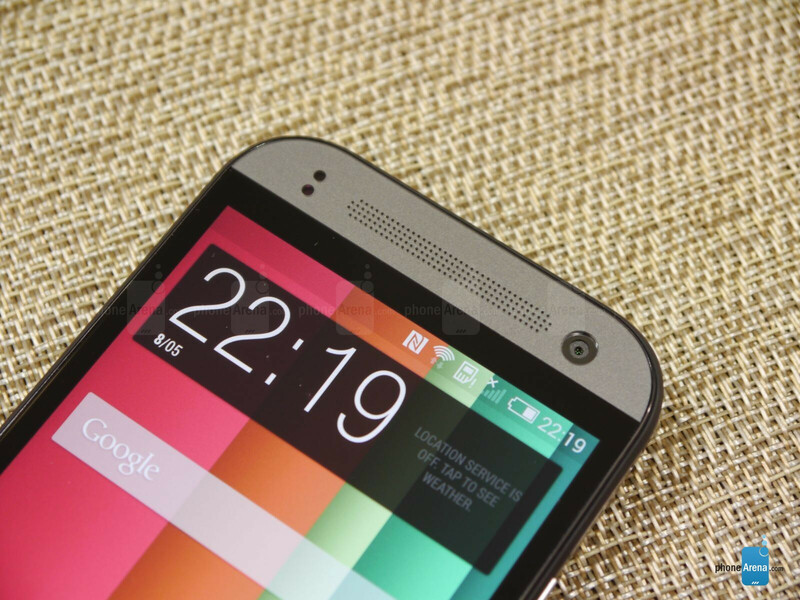 The HTC One mini 2 features a 4.5-inch 720p Super LCD-3 display. It’s become the trend of course, the HTC One mini 2’s display not only sees a reduced footprint in size, but its resolution is also lessened. Specifically, it’s been fashioned with a 4.5-inch 720p Super LCD-3 display, which gives it a pixel density count of 326 ppi. Sure, it’s not as sharp or eye-catching than the display found on the HTC One M8, but it nevertheless offers an effective amount detail to make out fine text without too much effort. 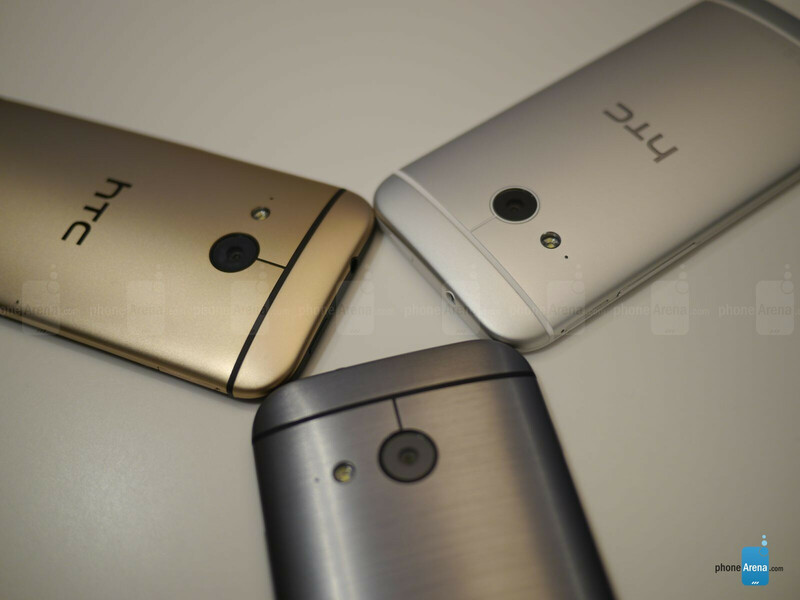 However, we do notice that the panel is of lower quality value than what’s seen on HTC’s flagship. Looking at it from the front, colors exhibit a neutral tone, but its weak viewing angles produce distortion that give a greyish tone to the color black. Overall, it’s not terrible to the point where we’re disgusted by it, but don’t expect to be too enthralled either. Bearing HTC’s most recent customized Android experience, Sense 6.0 on top of Android 4.4.2 KitKat, there’s nothing too blatantly different about the interface on here that we don’t have already on the HTC One M8. Visually, Sense 6.0 continues to be one of the more stylish and modern looking UIs – complemented by its social networking focused HTC BlinkFeed and the assortment of clean looking widgets from HTC’s portfolio. The visuals might be identical, but the features with the HTC One mini 2 have been stripped down – so you can argue that it’s a bummer in a way. To be more exact, gone is the various Motion Launch Gestures we have come to appreciate on the HTC One M8 – where we can perform different actions via gestures while the phone is locked/turned off. HTC tells us that this is attributed to the processor, one that’s not optimized to handle the functions of these gestures. Also removed is the IR blaster, which of course means that the HTC TV app is omitted. Beyond that, everything else seems to be in their place. 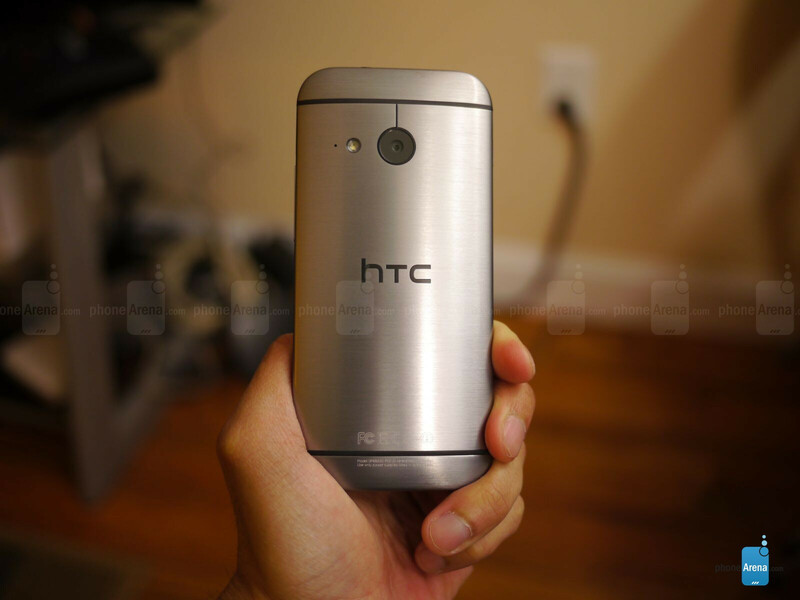 As we’ve alluded to already, the HTC One mini 2 is powered by a lower grade processor. Well, lower grade in the sense that it’s not as intimidating or formidable in comparison to the one in HTC’s flagship. Now, don’t think for a second it’s slow or anything like that, seeing that the quad-core 1.4GHz Qualcomm Snapdragon 400 processor with 1GB of RAM is still an effective combo. From what we can gather thus far, it can handle most things with no fluff at all, but it’ll be interesting to see how it handles gaming and more processor intensive stuff. Fortunately for this pint-sized version, it’s stuffed with the normal 16GB of internal storage, which is a tally we’re content to find on any smartphone in this day and age. Better yet, just like its sibling, a microSD card slot on its side supplements thing – though, it’s still a pain to access because we’re required to use those pin-hole sized adapters. You heard right folks, there's a 13-megaixel rear camera. Stop the presses folks! HTC has been talking big about its “ultrapixel” camera technology, which was enhanced on the HTC One M8 with the addition of a secondary camera used to measure depth information, but they’ve clearly decided to go elsewhere with the HTC One mini 2. Sporting a single 13-megapixel auto-focus camera with an LED flash, it’s no doubt the single most unsuspecting thing to find on this phone. Naturally, this approach is an intriguing venture, seeing that it’s almost certain that the camera will finally overcome the “ultrapixel’s” biggest deficiency – the lack of detail. Snapping some quick photos, it’s difficult to determine its true worth until we see the samples for ourselves on a computer, but we’re already astounded by the prospect. 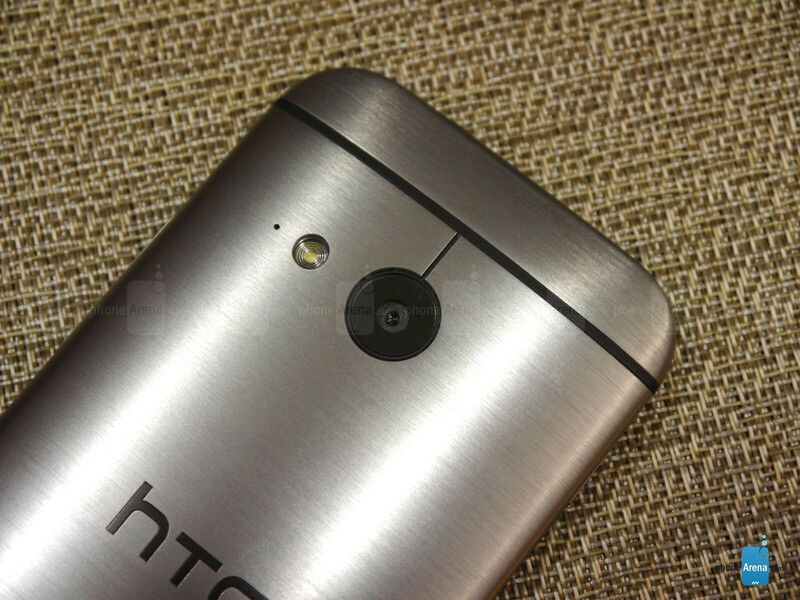 Around the front, HTC manages to deliver the same front-facing camera featured in the HTC One M8 – an agreeable wide-angled 5-megapixel camera. Higher in capacity than most other front-facing cameras, it’s wonderful to know that it’ll be able to accommodate even more faces and people into those selfies! Armed with dual front-firing speakers with HTC BoomSound, the HTC One mini 2 is already turning out to be a pleasant thing in the multimedia department. Powerful and commanding, it’s tough to tell at the moment if its quality is on the same level to the HTC One M8, but it definitely sounds close. The setup, of course, makes for an ideal experience for watching movies too, seeing that stereo audio is projected at us. Interestingly, the 3.5mm headset jack has been moved back to the top edge of the phone – as opposed to the bottom like on the HTC One M8. As we’ve mentioned previously, this model has been stripped of the IR blaster. First and foremost, we have to say that we’re enjoying the quick turnaround time of this smartphone, especially when last year’s HTC One mini took some time to come out of hiding after HTC’s flagship. 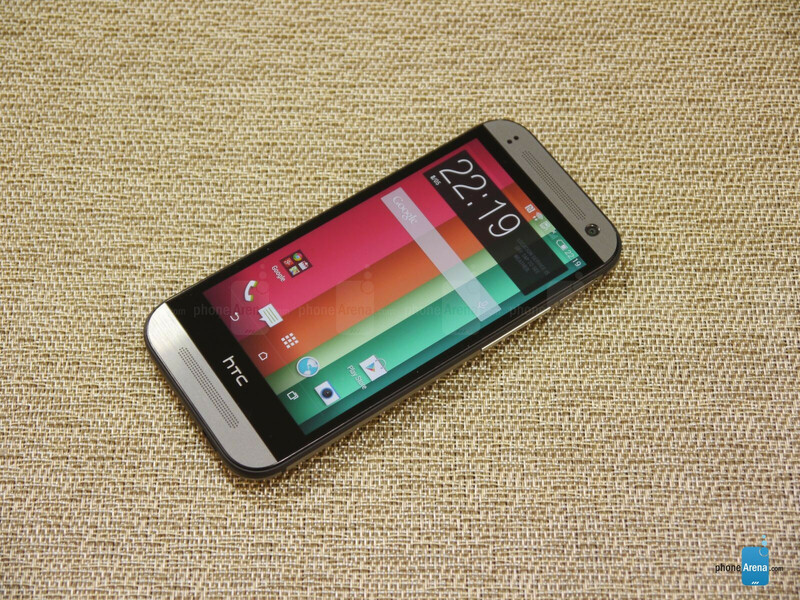 Close to a month after the HTC One M8’s launch, the HTC One mini 2 will begin its rounds as well in the market. Although it’s not quite as prized in terms of specs and features, the intent here with the HTC One mini 2 is to provide consumers with a premium smartphone in a more form-fitting size. Yes, certain features have been omitted and its specs have been reduced, but it’s something we’ve come to expect with these so-called “mini” smartphones. At the same time, though, the lower price point of the phone when it launches gives enough spacing to justify its worth over HTC’s current flagship. Regardless of that, we’re going to be reserved with our final judgment for now until we’ve given this phone the full review, so expect that soon! Damn!!! That's a lot of bezel. What the hell is it with you guys and your bezel fixation? Efficiency. Where fixated for efficiency. Use your walktie talkie if you want great battery life. We hate bezels and if you don't like it, join @evleaks.
" the intent here with the HTC One mini 2 is to provide consumers with a premium smartphone in a more form-fitting size" Premium smartphone with "big bertha" bezels and near budget smartphone specs. HTC... For The Fail. It has the same specs as the S5 mini, but a better camera and slightly less ram, how is it less than the other mini offerings offered by other companies? (Cept for the Z1 compact, but its in a league of its own.) You be trollin'! ... idk why didnt you put that 13mp sensor on the m8 you idiots. This makes zero sense and i agree for once in my life about the bezel. I usually don't care about bezel but damn. Though, i will say this is quite a premium mini phone minus that crap processor which should be an 801 or 800 like the z2 compact. Finally a good mini! That's the "Moto G effect" (or, maybe, it's because of the Z1 compact). Another fail. We're used to. Pretty good for a mini spec phone this is easily the best mini version available. Good job HTC. Now bring on the prime. Looks like it will be a decent phone. Although, with RAM costing practically nothing these days, there is no reason to not give this phone 2GB of RAM.